Iterated Local Search (ILS) is a simple yet powerful optimisation method that iteratively invokes a local search procedure with renewed starting points by perturbation. Due to the complexity of search landscape, different ILS strategies may better suit different problem instances or different search stages. 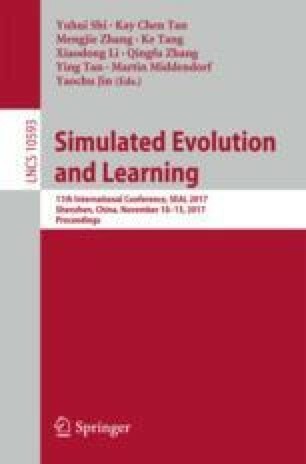 To address this issue, this work proposes a new ILS framework which selects the most suited components of ILS based on evolutionary meta-learning. It has three additional components other than ILS: meta-feature extraction, meta-learning and classification. The meta-feature and meta-learning steps are to generate a multi-class classifier by training on a set of existing problem instances. The generated classifier then selects the most suitable ILS setting when performing on new instances. The classifier is generated by Genetic Programming. The effectiveness of the proposed ILS framework is demonstrated on the Google Machine Reassignment Problem. Experimental results show that the proposed framework is highly competitive compared to 10 state-of-the-art methods reported in the literature.